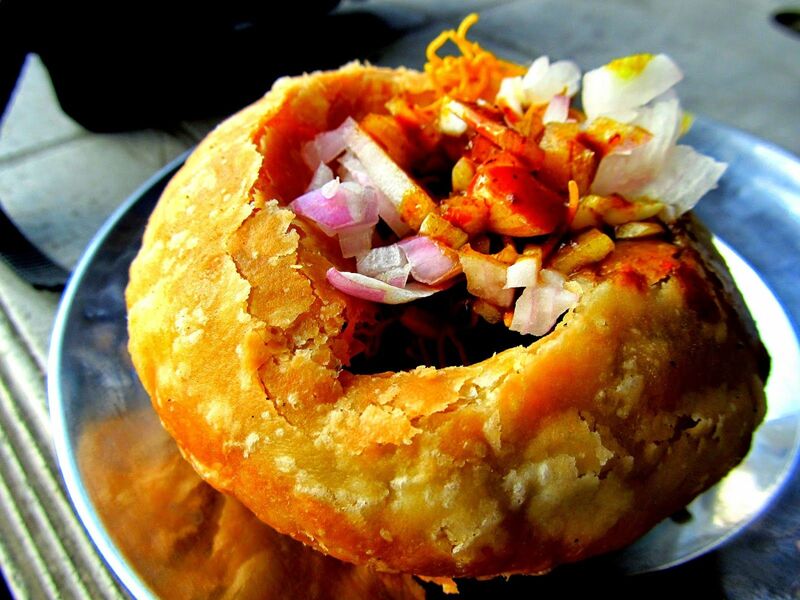 How Many Calories Are There in a Kachori & Does It Have Any Health Benefits? Kachori, a spicy Indian food is a small, crispy, round flattened ball made of fine flour. It is filled with a baked mixture of Moong dal, Urad Dal, Gram flour, Cumin, Black Pepper, red chilli powder, Cinnamon, salt and other Indian spices. Kachori makes for an addictive snack or appetizer. You can re-create the healthy option of this Indian street food at home. It has a variety of textures, flavours, and tastes where sweetness is balanced with spice and tang. Kachori is a versatile Indian food as it is relished as both a breakfast snack as well as a side-dish in Indian meals. However, eating Kachori can be unhealthy. A fried food, Kachori with all types of ingredients filled in it can be a real disaster for your body if the consumption is not limited. Acidity, obesity and coronary diseases are several health issues related with this Indian snack. The deep fried Kachoris are stuffed with multiple ingredients such as peas, sev, spiced gram flour, Moong dal, dried peas, and dry-fruits. Kachori can have as many as 100 calories depending on the size and the stuffing. For a healthier version of homemade Kachori, opt for Dalia stuffing, a kind of dried, cracked wheat, dalia which has tons of health benefits. Apart from this, you can also add lots of vegetables. You can even use grilled tikkis made of boiled dalia, chopped vegetables and spices. To satisfy your sweet tooth, roast the dalia in a clarified butter (ghee) and add Jaggery. It is known as Lapsi which is a very healthy and popular Kachori stuffing. You can also avoid the process of deep frying by replacing it with baked Kachori. Previous articleHow Many Calories Are There in a Paratha & Does It Have Any Health Benefits? Next articleWhy You Should Try Yoga At least Once?